My second favorite edge detail, after the Miter, is what we call the Half Moon. I like that it adds a little bit of detail but is still quite simple. 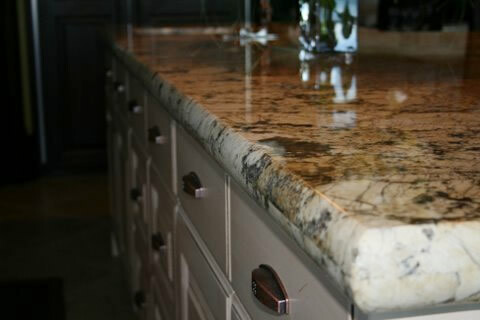 We can make the Half Moon Edge Detail in many different thickness's depending on your stone's thickness. Most commonly you will see it in 3/4", 1 1/4", 1 1/2" and 2 1/2". Below are a couple of photos of the edge from our portfolio. 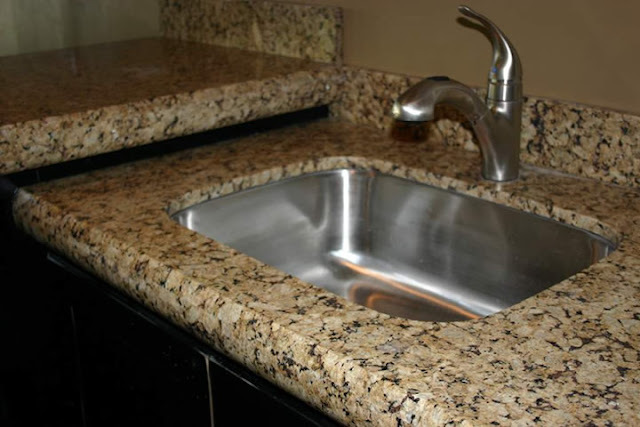 The beautiful granite above is Golden Beaches and the granite in the photo below is New Venetian Gold.